Madras-based business buys Prineville moulding company at end of December. Pioneer Cut Stock in Prineville has a new owner. Bright Wood Corp., a Madras-based company, purchased the moulding company from Chris Davis at the end of December. The company had 27 employees and each was offered the opportunity to stay, said Dallas Stovall, president and chief operating officer of Bright Wood. He expects to add 20 or so workers in the next couple months. Pioneer is located at 1941 NW Industrial Road. "We are excited about being a part of Prineville, as we've talked about putting a plant there in years past," said Stovall. "They have a great workforce in Prineville, and we couldn't be happier with the Pioneer plant and people." Stovall said the timing worked out well, as Davis was ready to retire. Bright Wood purchased the equipment assets and is leasing about half of the building. Terms were not disclosed. Pioneer joins an employee force of about 1,135. The Madras plant employs 920. The operation in Redmond employs 150. Bright Wood also has a plant in Menomonie, Wisconsin, that has 65 employees. They are in the process of closing a sawmill in Southland, New Zealand. The Pioneer plant uses many of the same employee skillsets and much of the same equipment that Bright Wood has in Madras and Redmond, said Stovall. With Pioneer, Stovall is looking at expanding capacity for output and to expand the workforce to keep up with product demand. "Pioneer also produces some products that we can easily roll into our existing manufacturing plan," said Stovall. Bright Wood is a cutstock business that produces an array of specially designed wood-based products for various manufacturers. One of its largest customers is Andersen Corp., a national leader in door and window manufacturing. The Stovall family has a history in Prineville millworks. Stovall's father, Ken, worked at Clear Pine Mouldings from 1956 to 1960. At that time, Clear Pine's managing partner, Carl Peterson, left to start Bright Wood, in Madras. He brought Stovall and Jack Stockton to the new Madras plant and made them both minority partners. Though Ken Stovall has passed away, the Stovall family now owns Bright Wood. 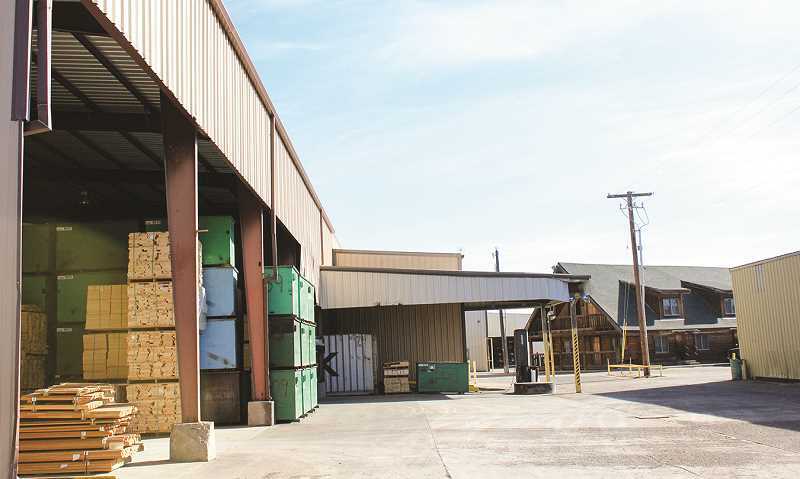 Bright Wood has grown to be one of the largest employers among privately owned businesses in Central Oregon. Stovall said the purchase of Pioneer happened pretty fast. "We starting talking in November and completed the deal the last day of December," he noted.